Another visit to the antique radio collection, this time to sketch an Emerson Erla art deco model made in the United States in 1934. Today’s stormy weather added to the sense of peace and cosiness in the back room of Angel’s shop; all in all a lovely way to spend a couple of hours. 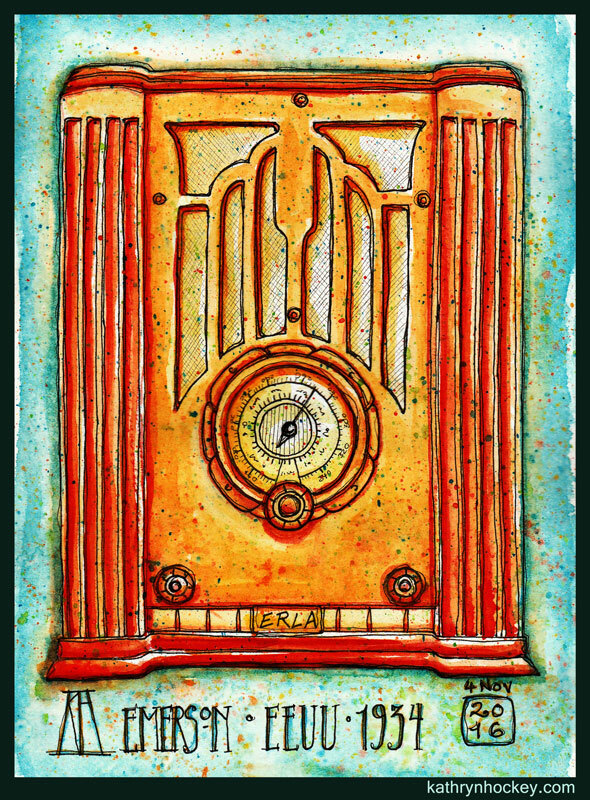 This entry was posted in sketches and tagged antique, art deco, emerson, pen and wash, pen and watercolour, radio, retro, sketch, sketchbook, vintage, watercolor, watercolour by kathrynhockey. Bookmark the permalink.